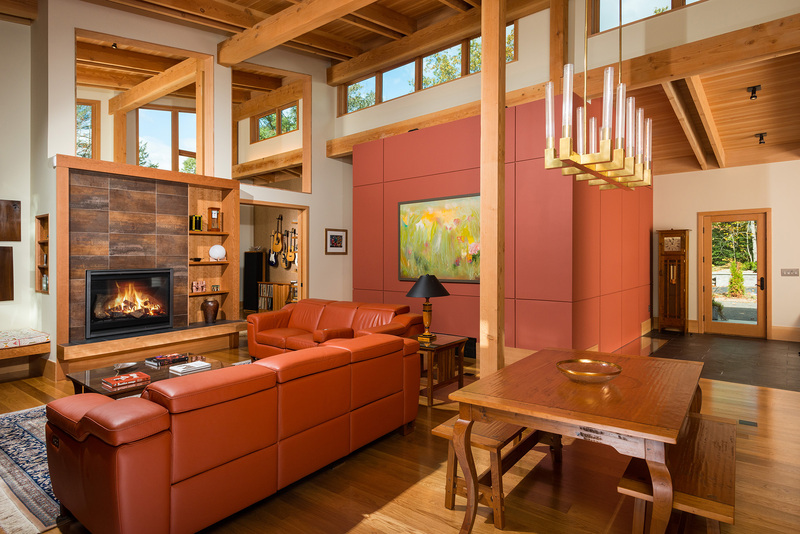 The owners of the Loughberry Lake Residence had acquired a highly-desirable location but were challenged by a narrow lot with a 14-foot grade change and the need to keep main living spaces in an accessible single story. 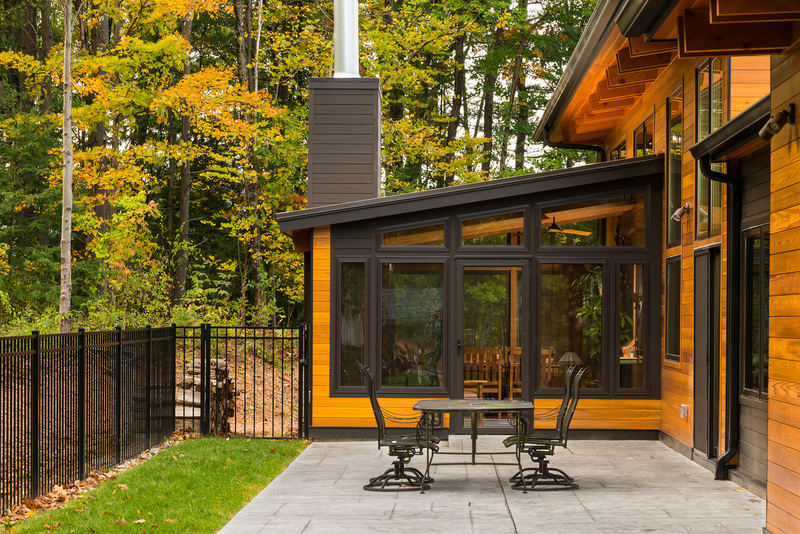 Guiding them through the process, Balzer and Tuck worked together with the owners to define a successful solution, designing a new custom home that capitalizes on the picturesque property and meets their unique needs. 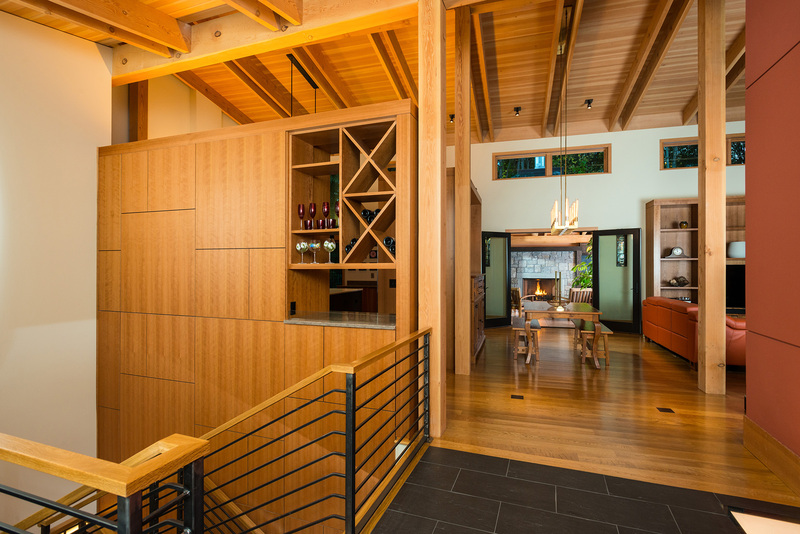 The new home has a main level entry, accessed from the top of a natural plateau in the landscape. 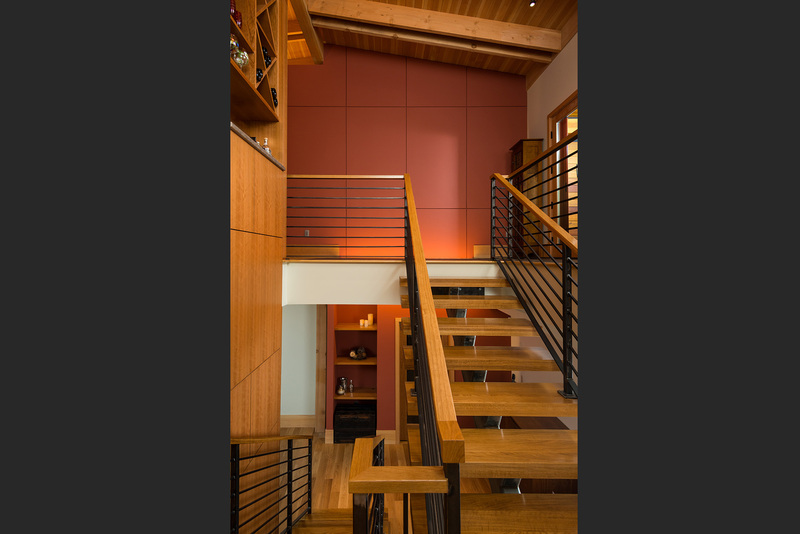 The lower level, with two guest bedrooms, a fitness area, and therapy pool, is accessible by elevator or ornamental stair. 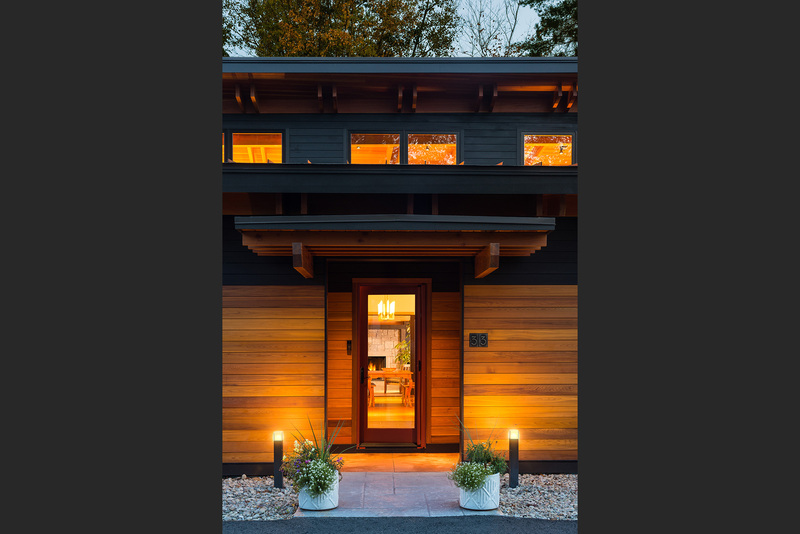 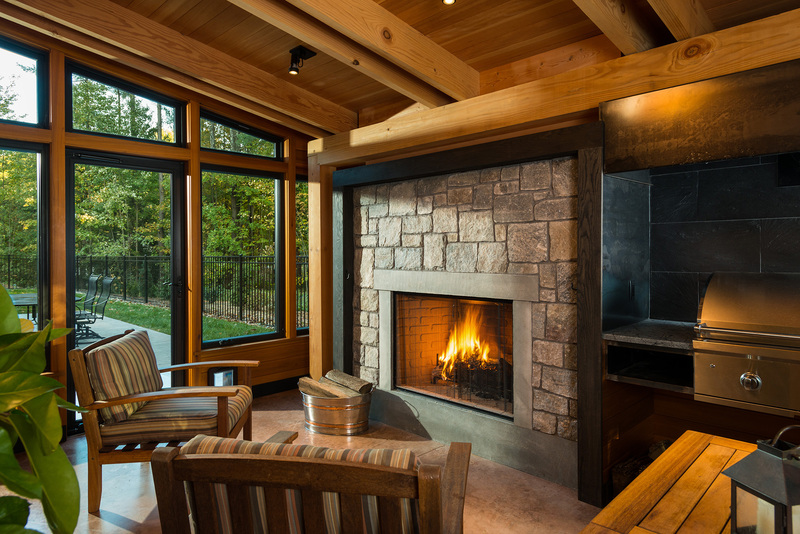 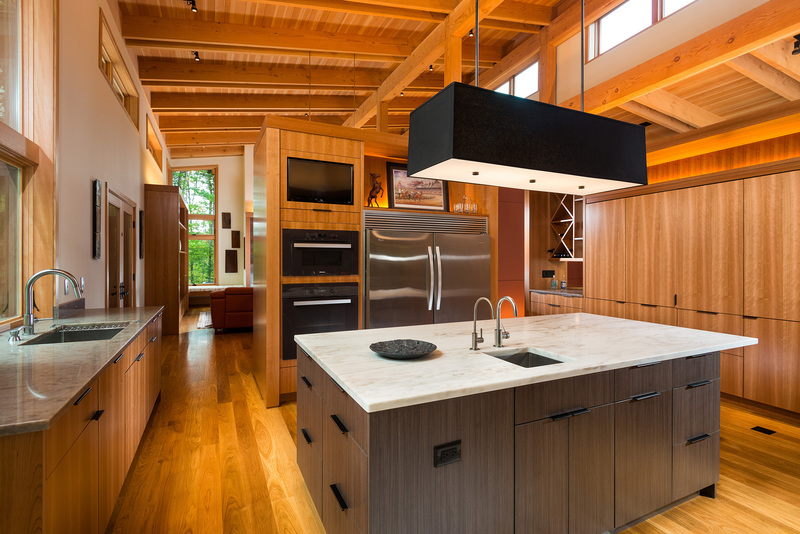 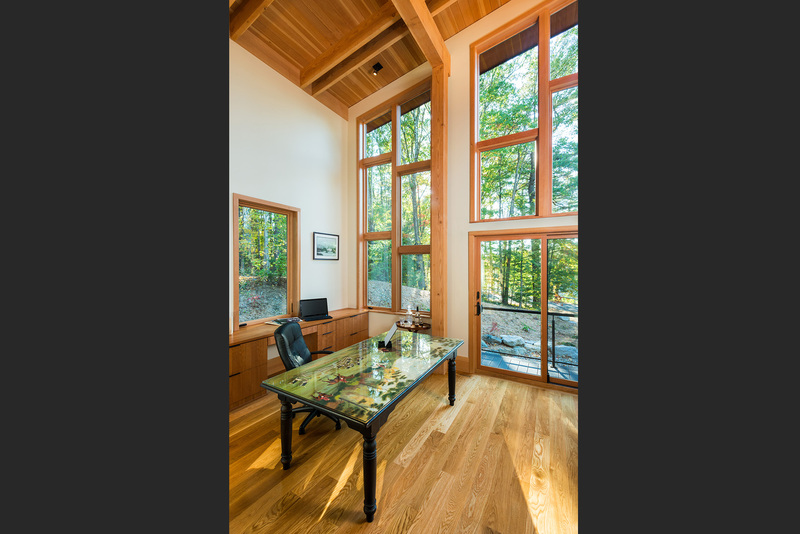 An exposed, douglas fir timber frame structure defines the interior spaces and volumes. 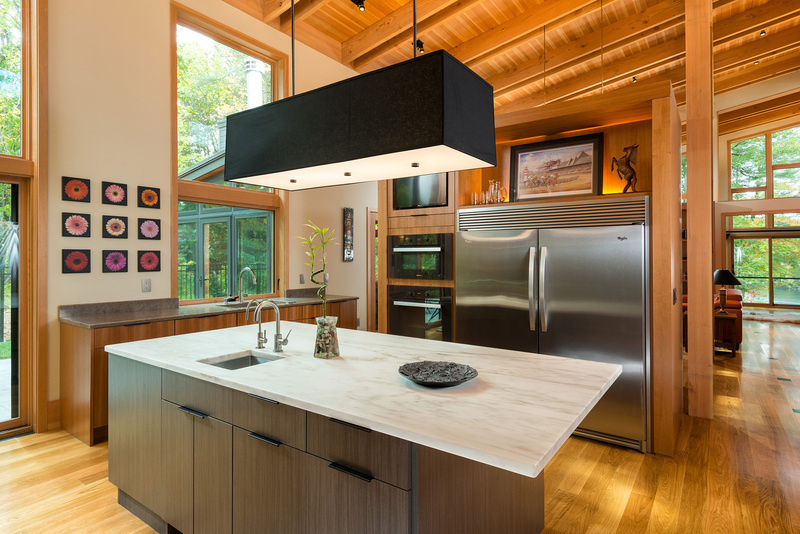 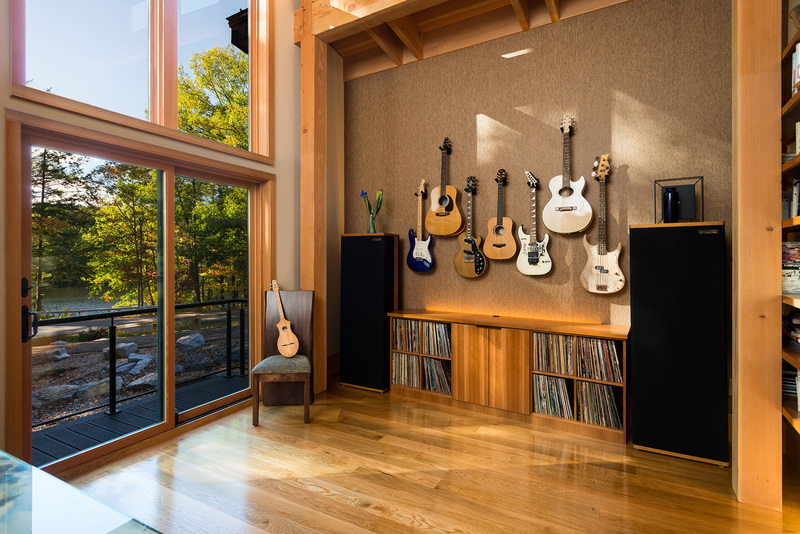 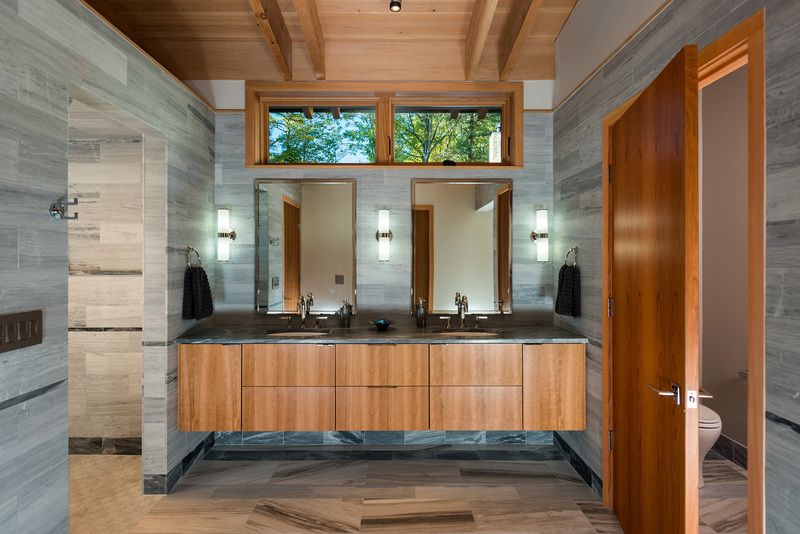 In the background, clean and contemporary millwork unites the experience and connects the timber structure with the surrounding natural elements. 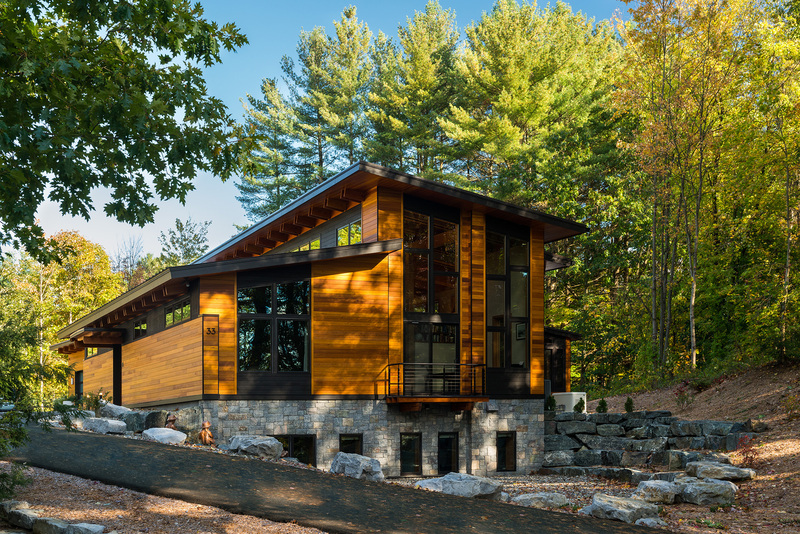 The home is divided into north and south ‘bars’, connected by an angled circulation ‘wedge’ that opens up as you move toward the lake. 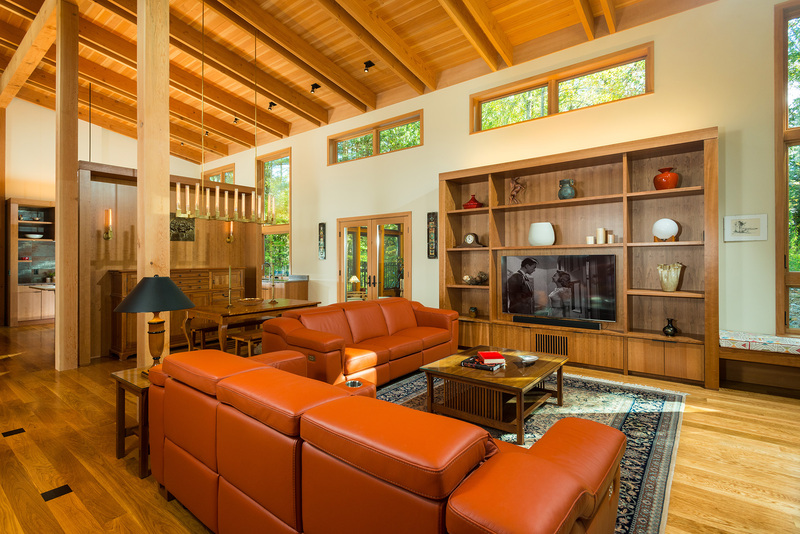 This design allows lake views and natural light to flood the interior spaces.